Never before has a program like this been available to the public. The assessment tools, activities, and action plan you will receive in this program are resources that have only been available to a select group of peak performers. My program is a game changer for many people. When you enroll into my program, you get access to world class training and assessment tools that will change the way you look at energy management and will empower you with a 12 week action plan that will completely change your life. If you want to achieve epic levels of success and transformation and create the lifestyle of your dreams without having to sacrifice your purpose of making an impact, you also have to learn how to increase and expand your Energy On DemandTM . Yes Tim, I want the Energy On Demand Program NOW! The Energy on Demand Program is designed to give you the tools you need in order to have the Energy you want to be able to come home and engage with your spouse, play with your kids, or work back to back 16hour days! The program is designed to walk you through the activities you need to do on a daily basis in order to combat the stressors of each and every day. Additional bonus material and exercises! 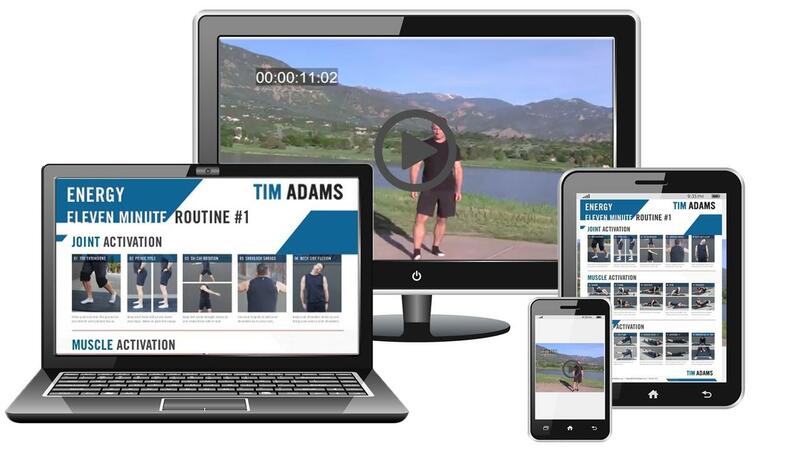 Over 60 lessons of amazing video content designed to help you discover everything you every wanted to know about how to enhance your ENERGY! Tim is offering Energy On Demand for only $997.00.